Irish chef and cook book author Brian McDermott, who teaches community groups across Ireland how to cook healthily, today warned of the dangers of excess salt in the Irish diet as a new World Health Organisation (WHO) in Europe report entitled “Mapping salt reduction initiatives in the WHO European Region” is published. 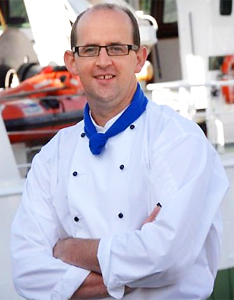 Brian, aged 35 from Donegal, a chef for many years, who runs the communitychef.ie website is urging people in Ireland to reduce their salt intake to 5g per day (the equivalent of about one teaspoon) in order to reduce the risk of stroke and heart disease. He believes that in Ireland we use far too much salt, not only on our meals but we also consume foods which contain hidden salt. 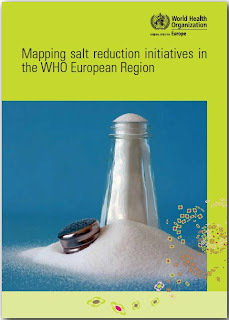 His comments come as WHO/Europe published this week a report entitled “Mapping salt reduction initiatives in the WHO European Region”- an overview of current initiatives in European countries. Several countries have already reaped significant results from measures including food and product labelling, consumer education, updating of national dietary guidelines and negotiating with food manufacturers to reduce the salt content in processed foods. 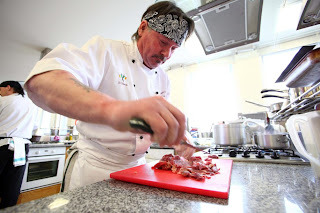 Brian's warning to the public to reduce their intake of salt follows a health scare a few years ago when, after 17 years of working as a professional chef, he had to quit work suddenly because of severely blocked arteries and dangerous levels of blood pressure and cholesterol. 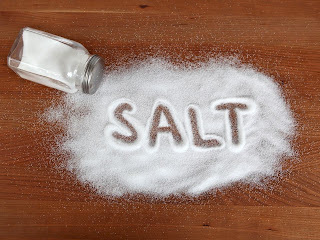 According to Brian, citing the WHO research “By reducing salt intake to less than 5 g per day (the equivalent of about 1 teaspoon) it is possible to reduce the risk of stroke by 23% and the rate of cardiovascular disease by 17%. The daily intake of most people in the WHO European Region is about 8–11 g, far above the recommended level. But many people don’t realise how many foods contain hidden salt and that you should not gauge your intake by the amount of table salt you use." He says that the latest report from the WHO shows that 80% of salt intake in the European Union comes from processed foods such as cheese, bread and ready meals. "Many people consume far more salt than they realize, with negative results for their blood pressure and general cardiovascular health. This is why you need to check the salt levels on the labels of all processed foods." he added. 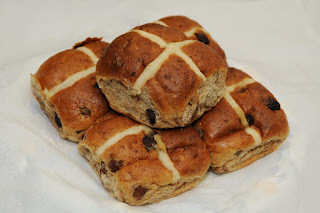 According to the World Health Organisation the High Salt/High Risk foods which contain hidden salt are bread, meat products, cheese, ready meals, soup, breakfast cereals, fish products, crisps and savoury snacks, catering meals, restaurant meals, sauces, condiments and spices and processed potato products. Brian says he will continue to promote awareness on keeping salt intake to a minimum. Through his cookery classes and demonstrations, people can learn how to take simple steps to reduce their risk of high blood pressure, stroke & cholesterol. Challenge Knorr's Chef "Versatile Steve" and be in for a chance to WIN an IPad Mini! The Challenge Steve competition was set up to celebrate the launch of Knorr’s two new ‘Ridiculously Versatile’ sauces as part of its popular Knorr Create More Concentrated Sauce range: Knorr Create More Spicy Tomato Concentrated Sauce and Knorr Create More Tomato & Basil Concentrated Sauce. Steve is asking chefs to log on to the Knorr Create More website and YouTube channel to challenge him to use the sauces in an innovative and creative way. He will record his favourite challenges for the YouTube channel, while the ten best challenges will win an Apple iPad mini. Can you think of a Ridiculous Challenge for Steve the Chef? Knorr say that for use hot or cold, in pasta, pizza, soups, bread, curries, the options for using these ridiculously versatile sauces are endless. Knorr has a limited number of full-size Knorr Create More Concentrated Sauce samples to give away. To request one, just log on to the Knorr Create More website, www.knorrcreatemore.ie, and follow the onscreen instructions. I received a free sample of these sauces to try out and must say their Tomato & Basil is pretty good. I also entered the competition and challenged Steve to rub the sauce all over a Dancing Pole and try to Pole Dance on it then! The MUNSTER Regional Final of the Santa Rita/ LIFE Magazine Irish Restaurant Awards 2013 took place in The Imperial Hotel, Cork City last night and the chosen top restaurants in the region were named. The Munster region covers the six counties of Clare, Cork, Kerry, Limerick, Waterford & Tipperary. Over 350 restaurant owners and staff celebrated their hard work and achievements at the Awards, which saw many well-known restaurateurs of Munster turn out to see if they had won one of the prestigious awards. In their fifth year now, the Irish Restaurant Awards continue to go from strength to strength. Each year, the awards cast a spotlight on the brightest and best players on the Irish restaurant scene. The Irish Restaurant Awards are the awards everyone wants to win. 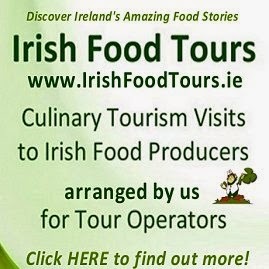 Speaking at the awards ceremony, Adrian Cummins, CEO Restaurant Association of Ireland, said: "We celebrate the award winning cuisines and the great restaurateurs and chefs who are constantly bringing international recognition and accolades to the Irish restaurant scene." He continued, "Restaurateurs are entrepreneurs, and that is reflected in the fact that the restaurant sector is the biggest employer within the hospitality industry. We provide employment to 64,000 people and the industry has annual sales in excess of €2 billion - tonight, everyone is a winner." This year the nominations went online for the first time and they got a spectacular response from the public, nominations doubled and they received over 10,000 votes for Ireland’s favourite restaurants, chefs, gastro-pubs, hotel restaurants and customer service experiences. Food outlets were nominated under the categories of Best Customer Service, Best Gastro Pub, Best Casual Dining, Best Hotel Restaurant, Best Chef, Best Restaurant, Best Wine Experience, Best Kids Size Me, sponsored by Heinz, Engaging With The Gathering, sponsored by Tourism Ireland and Best Just Ask! Menu, sponsored by Bord Bia. All County winners now compete for the Regional and All Ireland Title which will be announced at the Irish Restaurant Awards in the Burlington Hotel, Dublin on Wednesday 10th June, 2013. 1. Mystery Guest Visit (55%) This component of the awards is conducted by Prism Consulting headed by Hugo Arnold, independent food writer and consultant. All County Winners receive a mystery guest visit throughout the month of April and May. 2. National Awards Academy (35%) Our National Awards Academy is made up representatives from each of the regional judging panels and will meet in May to Judge the County Winners. 3. Menu Judging (10%) All County winners and the Dublin Shortlist in each category are asked to submit a copy of their food menu and wine list for judging. Voting in the Industry categories commenced on April 4th. Voting in these categories is exclusive to Restaurants Association of Ireland members only, with members competing for: Best Club Restaurant, Best Seafood Experience, Best World Cuisine, Best Newcomer, Best Café, Most Innovative Restaurant, Best Restaurant Design, Best Cocktail Experience, Best Restaurant Manager, Best Cookery School, Best Supplier & Best Digital Marketing. The winners of the Industry Categories will be announced at the All-Ireland event on 10th June, 2013. Tickets are priced at €130 for the All-Ireland Event and can be bought directly from Sinead at the Restaurants Association of Ireland on (01) 677 9901 or sinead@rai.ie. For More information and Tickets for the Finals Event see http://www.irishrestaurantawards.com and follow the #FoodOscars hashtag on Twitter. The ULSTER Regional Final of the Santa Rita/ LIFE Magazine Irish Restaurant Awards 2013 took place in The Merchant Hotel, Belfast, last night and the chosen top restaurants in the region were named. The Ulster region covers the six counties in Northern Ireland: Antrim, Armagh, Down, Derry, Fermanagh and Tyrone & three counties in the Republic: Cavan, Monaghan & Donegal. Over 250 restaurant owners and staff celebrated their hard work and achievements at the Awards, which saw many well-known restaurateurs of Ulster turn out to see if they had won one of the prestigious awards. 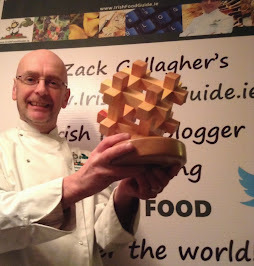 For More information see http://www.irishrestaurantawards.com and follow the #FoodOscars hashtag on Twitter. The Connaught Regional Final of the Santa Rita/ LIFE Magazine Irish Restaurant Awards took place in The House Hotel, Galway, last night and named the top restaurants in the West for 2013. Over 250 restaurant owners and staff celebrated their hard work and achievements at the Awards, which saw many well-known restaurateurs of Connaught turn out to see if they had won one of the prestigious awards. Speaking at the awards last night, Chief Executive of the Restaurants Association of Ireland Adrian Cummins said; “In their fifth year now, the Irish Restaurant Awards continue to go from strength to strength. Each year, the awards cast a spotlight on the brightest and best players on the Irish restaurant scene. The Irish Restaurant Awards are the awards everyone wants to win. This year the nominations went online for the first time and we got a spectacular response from the public- nominations doubled and we received 10,000 votes for Ireland’s favourite restaurants, chefs, gastro pubs, hotel restaurants and customer service experience." Michelin- Star restaurant Aniar took home the prize for best restaurant in Co. Galway, adding to its already-full mantelpiece of accolades. 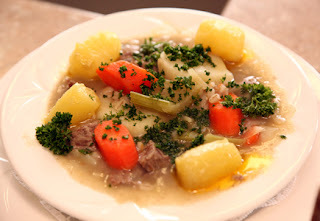 Entries are flying in for the fourth World Irish Stew Championship which takes place in St Angela’s College in Sligo on 1st and 2nd May and you can still enter! The 1st of May will see professional and student chefs from kitchens and colleges all over the world demonstrate their skills to create the ultimate Irish Stew! The judging panel a team of chefs and competition judges, selected by head judge, Gabriel Mc Sharry, will decide who will earn the title in two categories – professional and student chef. 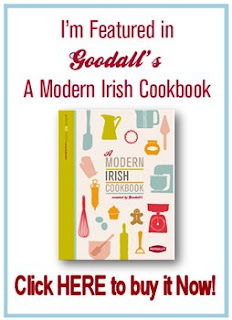 Entries can be made online www.worldirishstewchampionship.com where there are also application forms for other culinary competitions including the Sligo Signature Dish and a Mystery Basket competition. It is not only professional chefs who can enter their stew! Home cooks can enter the competition by taking a photo of their stew and uploading it along with the recipe to their website. 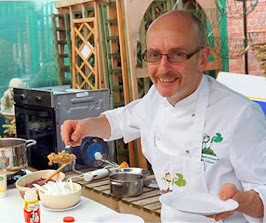 The best Irish Stew recipes will be selected and brought to beautiful Co Sligo to compete in the final on 2nd May and they will also be treated to a Sligo Gourmet Adventure! The World Irish Stew Championship has been running since 2010 as part of Só Sligo Food Festival and this year thanks to the Gathering IBB Fund and assistance given by the Gathering initiative, it has become what is hoped to be an annual global event in County Sligo.